What is it to own a restaurant ? I was just wondering that how does it feel to own a restaurant. I know it's more of a practical thing rather than just thinking about it. As I have worked in some of the standalone's and hotel's till now, what I feel is you have to get started at some point. Obviously as it's a business category there are many risks, uncertainties, courage, investment issues and a lot more. But then that's the beauty of it I feel. You live everyday with some kind of responsibility and goal. Every industry and industrialist faced some up's and down's at the beginning but that's what it is. That's temporary. But now it's up to you that how you define "Temporary". Also it's all about you and your dream, if it's firm and strong enough, only you can stop yourself. Other technical aspects like staff, management, food, capital etc. etc. are the part of it, but as a whole what I think is that if you are quite determined and positive about your decisions and yourself, you could own anything. That's what I think, but I would love to know about your opinions as well, as this is an amazing platform for us all to share and add our ideas and thoughts to others ideas and thoughts. Also adding a picture of a book am reading currently. Owning a business of any kind is filled with small and large headaches. Staff are an ongoing challenge, the building almost always has problems, eg plumbing, that arise intermittently, & health safety inspections are never fun. There are a few careers where I think you should feel a "calling" if you are going to enter them, because other wise they will eat you up. Restaurant owning is one. There was a landmark study done sometime in the last decade that roundly debunked the narrative that "90 percent of all new restaurants fail." Restaurants are neither more nor less likely to fail than other new startups, and a lot depends on capitalization, clarity of concept, and the rest of the usual suspects. One thing that was very pertinent, though, was that even restaurants that are successful on paper - profitable, busy, and generating good revenue - often close simply because the owners burn out. In my own case, my restaurant was thankfully seasonal. I worked 100-120 hours/week for 7 months, and 80-100 hours for the other 1.5 months of my season. At the restaurant where I worked while going to school, the owner had just gotten her average week down to 80 hours...and this was after being open for 20 years. Exhausting, stressful, and rarely as profitable as you'd like. Running the business is so much more than just writing the menu, soaking up the compliments, and cashing the checks. If you have investors, they will want their money back, ideally at least doubled. There goes some of your creative freedom - if your vision doesn't sell at <30% food cost and get good reviews, you'll be asked to change your vision. One thing that was very pertinent, though, was that even restaurants that are successful on paper - profitable, busy, and generating good revenue - often close simply because the owners burn out. Thanks for your experiences and opinions, I will really keep all of it in mind before getting into it. PS: I am so new to this community and website, so just coping up in getting all the operations like replies, views etc. properly and in time. Good explanation! It's quite true. 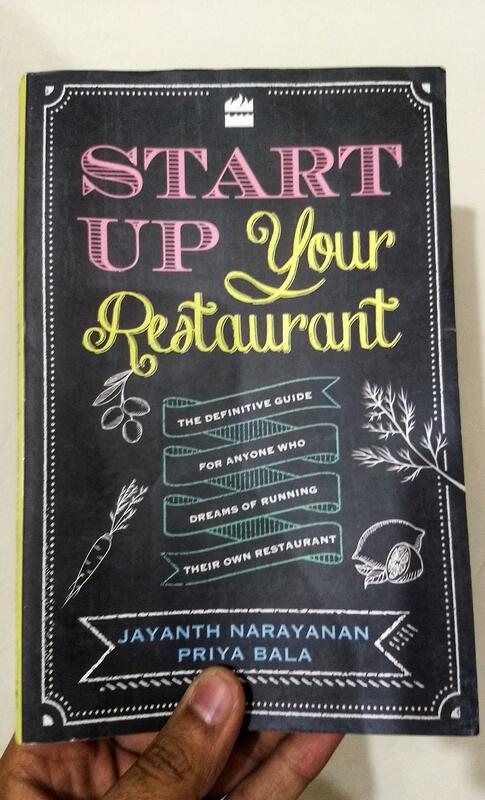 There are a whole lot of things to figure out before you start your restaurant business. You must do the market research and ensure that the business is feasible and expected sales are tangible. Once you've started the restaurant, new issues come into play just like @gfweb said. If all goes well, it's pure joy to have a restaurant of your own which is being liked by the customers and everyone. But the factors which you need to have a check on, are innumerable.